- West Carleton Soccer Fields, Behind the Carp Fairgrounds, Carp, ON, K0A 1L0. 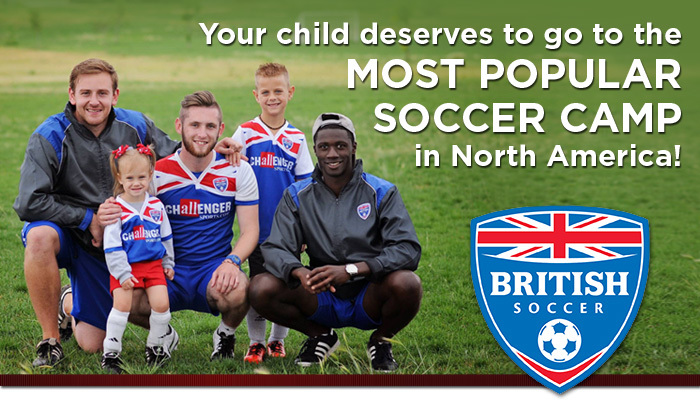 Each child will be coached by a member of Challenger's British coaching staff flown into North America exclusively to work on these programs. This year Challenger will hold over 3,500 British Soccer Camps this summer and will coach over 150,000 players between the ages of 5 and 18, as well as completing FREE coach education clinics for over 40,000 parents and coaches. Challenger's British Soccer Camps are more than a week of drills and skills. In addition to taking part in a daily regimen of foot skill development (through the 1,000 touches curriculum), technical and tactical practices and daily 'World Cup' tournament style plays, each child will be treated to a rich cultural experience and lessons on respect, responsibility, integrity, leadership and sportsmanship. Challenger will consult West Carleton Soccer Club on the camp, as each camp is custom built to meet the needs of the players.